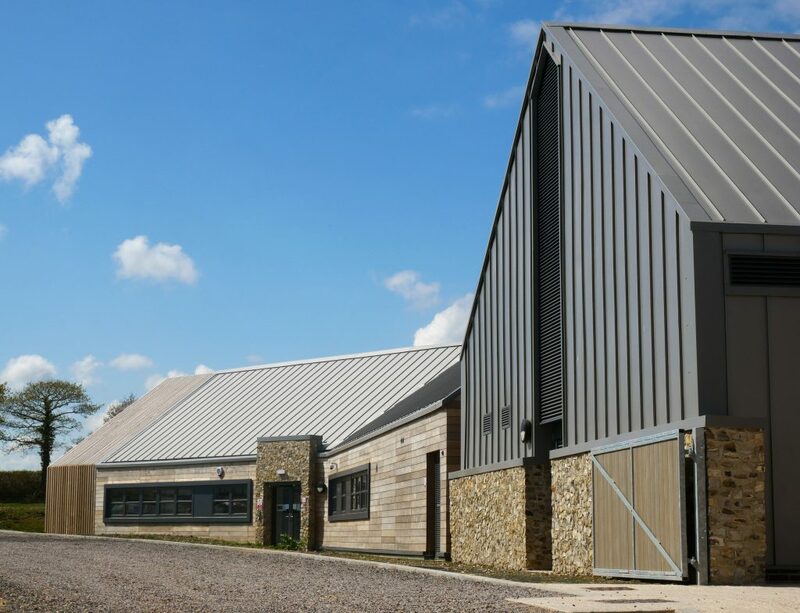 LHC was commissioned as architects and landscape architects by The Donkey Sanctuary to design a Veterinary Hospital and New Arrivals Unit at Brookfield Farm, near Honiton. 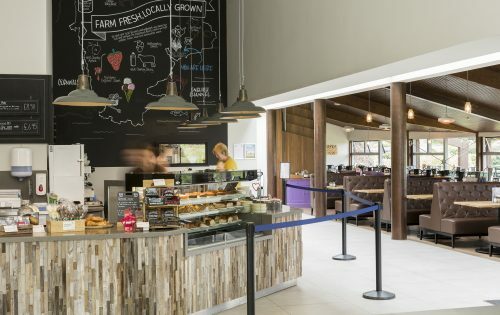 The commission was part of a wider project with the Devon-based charity to provide a masterplan and a range of new and remodelled buildings at two of their local farms. 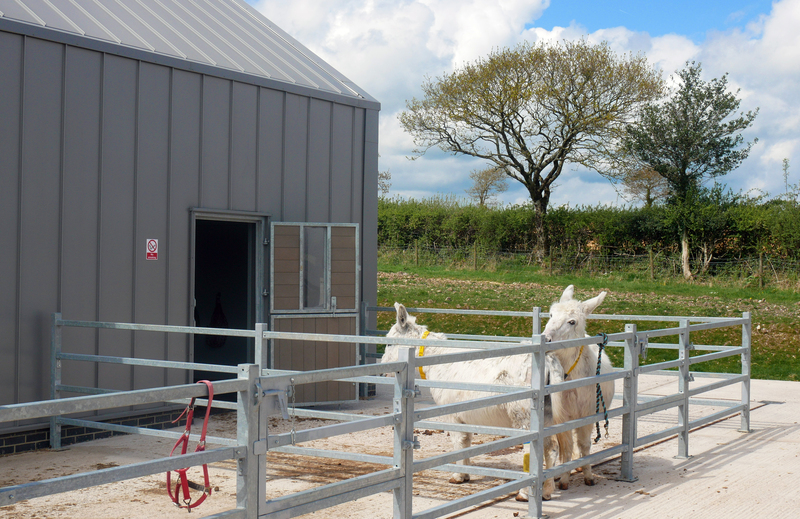 The Veterinary Hospital includes a new operating theatre, with stabling for 12 patients and overnight nurse’s accommodation. There are also specialist clinical standing areas, X-ray room and dentist. 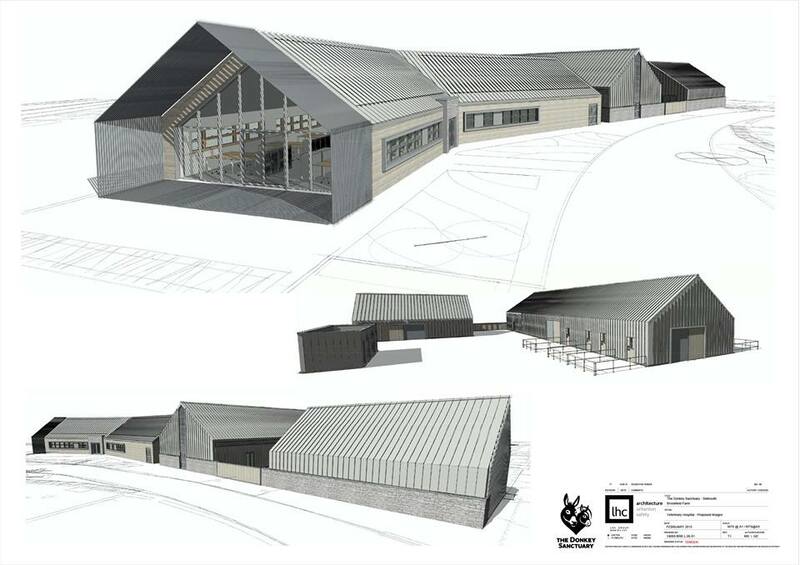 The scheme includes a woodchip biomass plant, which is supplemented by donkey manure. 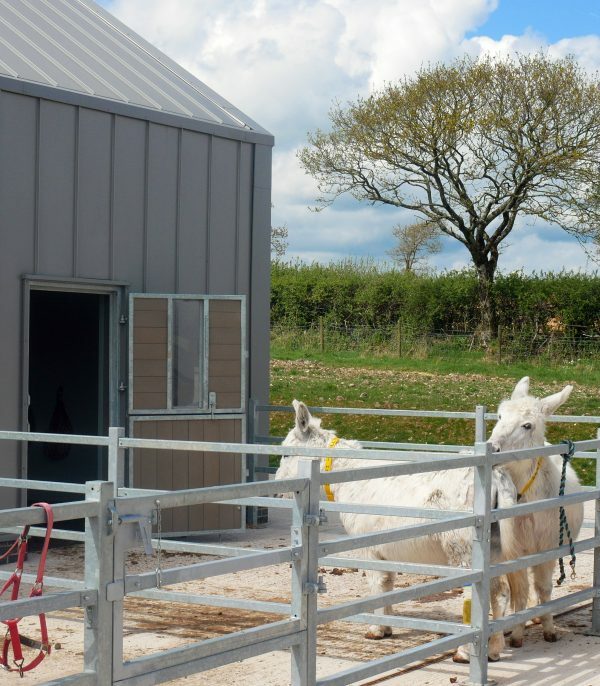 The New Arrivals Unit provides 14 stables, each with their own paddock for incoming donkeys. 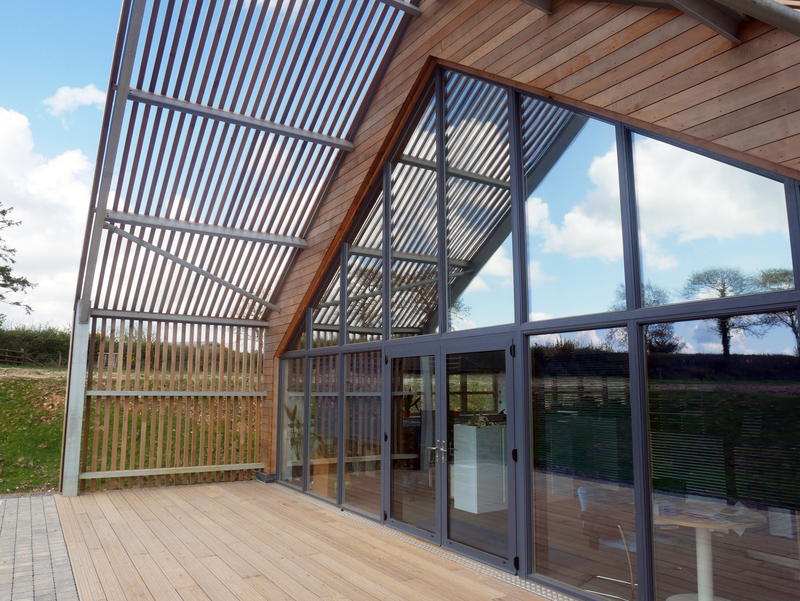 The building has been designed as an extension to the existing farm complex, using traditional agricultural building materials in a contemporary way. 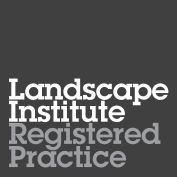 As the site is located within the East Devon AONB, the buildings have been sensitively located within the landscape. 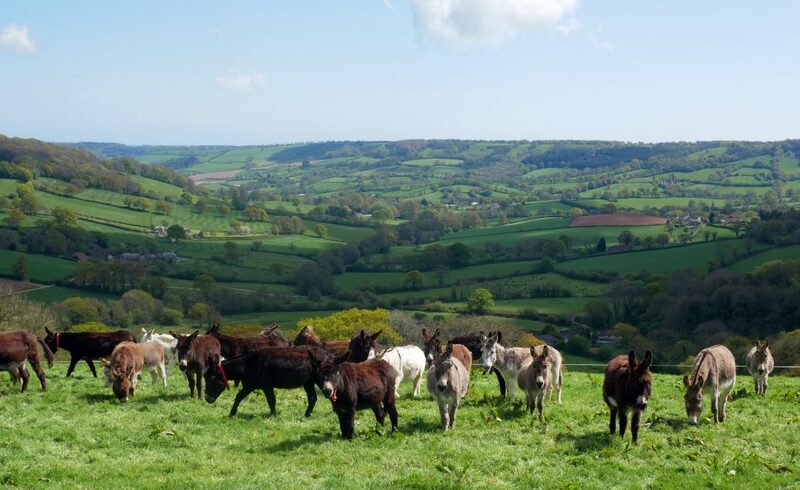 The charity improves the quality of life for donkeys, mules and people worldwide. 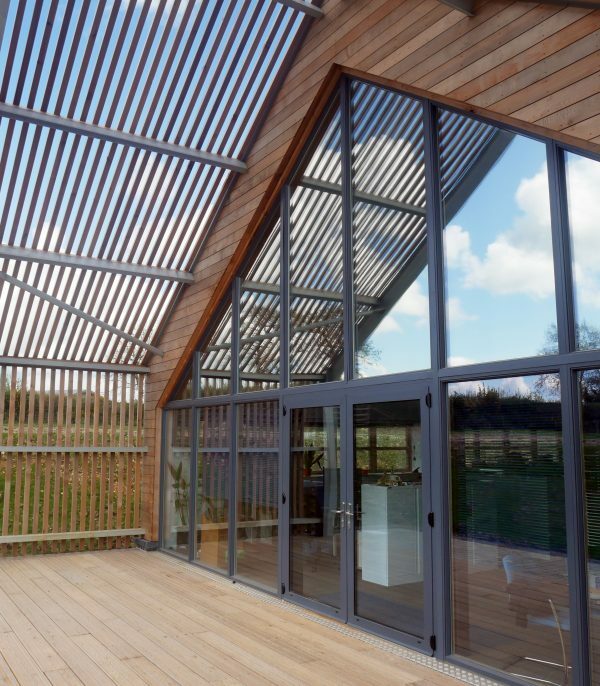 As well as being a popular East Devon visitor attraction, the Sanctuary offers animal assisted therapy to children and adults with additional needs and disabilities across the UK.